This week, Blue Star Families asked its Everyone Serves bloggers to talk about the military community. We come from multiple branches, multiple locations, and multiple levels of experience. I would encourage anyone interested in really getting to know the military community to check out the posts by the other authors as well. I hear stories all the time about the amazing things that the military community is able to accomplish. Whether it is taking care of families while their soldiers are deployed, easing transition to a new duty station, or advocating for important policy changes, we military folk GET STUFF DONE (GSD). I don’t think I could begin to explain all of the incredible things that this service-built family can do together. If I tried, there’s no way I would do it justice. So instead, I’m going to tell you about my own experience over the past year. If you’ve read me before, you know that we are a remote family. 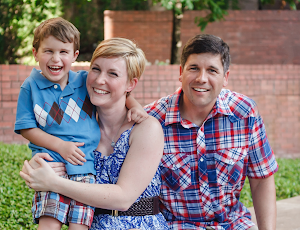 I’m based in Houston with our three-year-old, while Jake is stationed at Ft. Riley in Kansas. Our family has always been this way. We’ve never lived in the same state because we need me to keep working. As a result, I have never lived near an Army post. I’ve had very little experience with the military culture, other than visits here and there to see Jake. Living remotely as a soldier’s wife is really lonely. No one where I am can quite relate. I’m out here on my own in a sea of civilians, feeling frustrated by the distance but feeling equally helpless to change it. It’s ridiculous that getting a new license in a new state is so hard, and that’s the largest impediment to being able to pick up and move with my soldier. But what can one lawyer do about that? These are the things I was thinking in the summer of 2012. 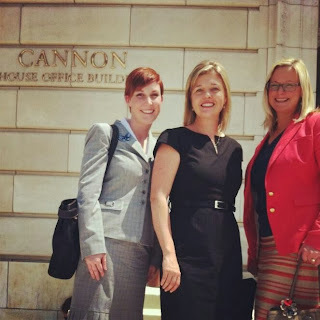 I’ve since learned that many of my fellow military spouse attorneys (MSAs) feel the same way, but at the time, I honestly thought I was the only one. Apparently we all did. All frustrated by the status quo, all feeling helpless to change it. But then, we started finding each other. We started organizing. We built a military and professional community in the virtual space—a new bar association, just for MSAs, living on the internet and connecting men and women from around the world for support, career, guidance, and to help one another make a change in the profession. 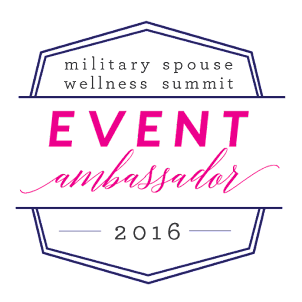 In 2011, the Military Spouse JD Network started with three members. Now, it has over 900! That’s exponential word-of-mouth growth in a time when many bar associations around the country are shrinking. Why? Because we are motivated. We are passionate about making our profession more compatible with military service. We want to support our soldiers and build careers of our own, not choose between the two. Our passion to make a change, coupled with the military’s usual GSD gumption has resulted in efforts around the country to work with state licensing authorities to change the way military spouse attorneys are licensed, to make it easier to obtain a license, and therefore, a job in the legal profession, wherever we may follow our servicemembers. So far, we have achieved rule changes in six states, with rule change submissions currently being considered by another dozen supreme courts around the country, and more to follow. AND THIS WEEK, WE ARE WORKING TO MAKE ONE OF OUR OWN A D.C. CIRCUIT JUDGE! YOU CAN FIND OUT HOW TO HELP WITH THAT EFFORT HERE. And we are not the only ones. Military Spouses in numerous professions are working to make careers more portable from state-to-state. All of these efforts are resulting in direct improvement in the military community; families get to stay together, spouses can maintain careers, and the military retains its best and brightest. And, for the most part, these efforts are happening in a new frontier of the military community—the virtual military family. Remote doesn't have to mean alone anymore. What the past year with MSJDN has taught me is that one doesn’t have to be the loneliest number. One can be a network—one group with one goal. That kind of “one” can change the world.